After the parking election in South Eliot, we have the results. As a reminder, the requirements for forming an area parking permit district were that 50% of ballots had to be returned and 60% of the returned ballots had to be in favor. From our election, we had 53% of ballots returned and 54% were in favor. Although the majority (54%) of ballots were in favor, this is below the 60% threshold so the Area Parking Permit (APP) didn’t pass. The Portland Bureau of Transportation shared the results by block with us and the general trend was similar to our experiences chatting with folks. The further south people lived, the more in favor of forming APP folks were. There were blocks that voted overwhelmingly in favor of forming an APP. The next step is PBOT is exploring launching a pilot program that would allow for smaller APP. Right now the APP must be at least 10,000 linear feet. The pilot would allow for a minimum of 5,000 linear feet. They’re doing this to help support us since there are small areas in our neighborhood that really want this. Once PBOT gets City Council’s support of forming pilot APPs, we could consider restarting the process. The proposed I-5 expansion through Eliot and the Rose Quarter will have a dramatic impact on our air quality, traffic, and safety. ODOT is asking for feedback now through April 1st. In addition to sending your feedback to ODOT, please also consider sending feedback to our elected leaders who also have sway over the project. The Land Use and Transportation Committee is looking for more neighbors to join our group. Anyone who works or lives in the neighborhood is welcome to join. Whether you’ve been in the neighborhood for a week or thirty years, regardless of if you’re an urban planner or are just curious to know about upcoming projects in the neighborhood, we’d love to have you join. The time commitment is fairly light with only one two-hour meeting a month. The Land Use and Transportation Committee or LUTC is a group that participates in neighborhood review of land use, zoning, building and transportation regulation and planning. What that essentially boils down to is when a new project or policy is proposed that will affect the neighborhood, the group proposing the change with come to LUTC and ask for our input or feedback. LUTC then voices our opinions on what can lead to the proposed project having the largest positive impact on the neighborhood. If this sounds interesting we’d love to have you. If you’re worried that you don’t have the right “background,” don’t let that stop you from joining. We’d be happy to train you and get you up to speed on things so that you can be a contributing member. So if you’re interested in helping shape the direction our neighborhood and city grow, please consider joining. Our meetings are open to everyone, so if you’re interested in checking them out to see if you want to get involved, they’re the second Monday of the month at 7pm at 120 NE Knott. The next meeting is Monday, March 11. As you may remember, parking is an issue for neighbors in Eliot, especially in the southern part of the neighborhood. Whether it’s commuters parking here and taking the MAX into town, or Blazer fans using the streets for free event parking, it is becoming harder for neighbors to be able to find parking. 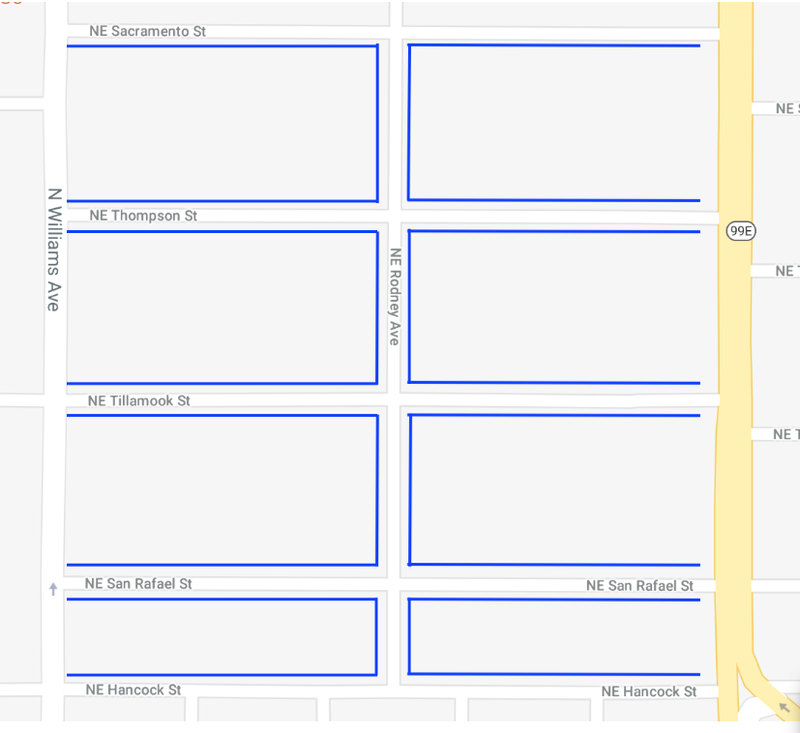 The Eliot Neighborhood Association is exploring the idea of an area parking permit (APP) for on-street parking. 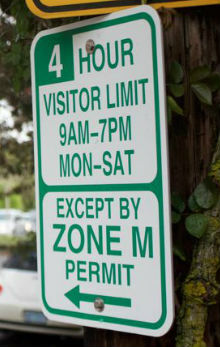 The program would enable residents to purchase a $60 per year permit to park in the parking permit area. If you’ve tried to park your car in the southern part of Eliot, you’ve probably noticed that it can be really tough. Whether you’re competing with commuters parking in our neighborhood and taking the streetcar to downtown or Trail Blazers fans using our streets as a parking lot, it can be tough for residents to get a spot. With all the new housing being built and even more planned for the near future, the parking problem is likely only going to get worse.